The price above is an estimate. Click the button to see the latest price. 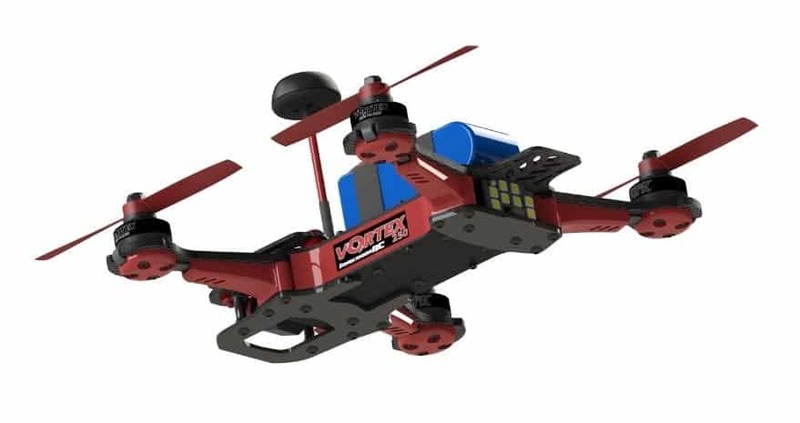 Released in late 2015, ImmersionRC’s Vortex 250 PRO is an almost unbreakable 250-class racer that is easy to tune and to repair in the field, thanks to its upgraded on-screen display and intelligently integrated subsystems. The 250 PRO has everything a budding drone racer could want packaged into an easy-to-learn and forgiving platform that can also WIN races. 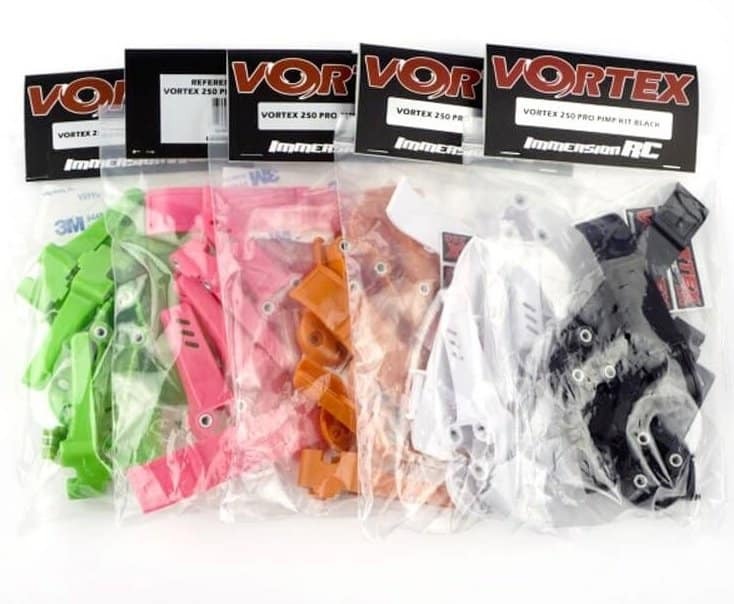 The secret of the new Vortex 250 PRO’s durability is found in its materials and construction. The 250 PRO uses 4mm-thick carbon fiber (CF) flat arms that are damn near unbreakable. 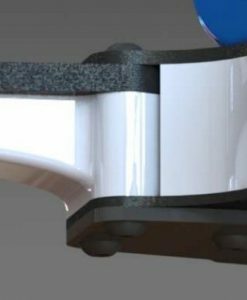 There’s also a 2mm-thick CF top plate and 2mm-thick FR4 skid plates. 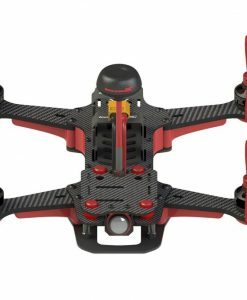 All of this combines to make the 250 PRO far more crash-resistant than most other racing drones. 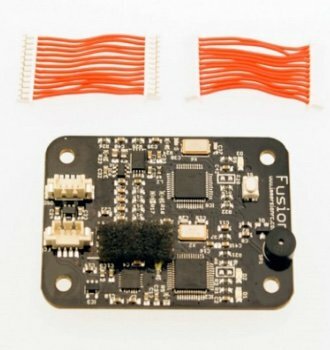 The ImmersionRC Fusion flight controller gets an extensive update for the Vortex 250 PRO. The F/C processor is updated to an F3, and 2MB of BlackBox log storage is now included. The new processor has twice the performance of the F1, enabling faster loop times and quicker flight performance. PIDs are now configurable via the on-screen display, using menus. One of the problems w/ the F1-based unit was a weak lost drone alert. This one is MUCH louder. In addition, a port has been added for direct serial receiver hookup, with 5 volt and 3.3 volt supply choices. 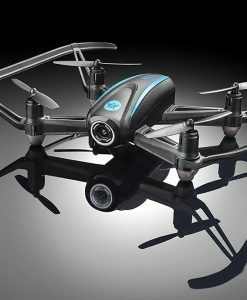 The Fusion Gen2 also comes with CleanFlight pre-installed. 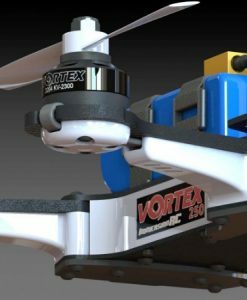 The Vortex 250 PRO comes with an on-board NexWaveRF video transmitter that is compatible with any 5.8Ghz receiver. 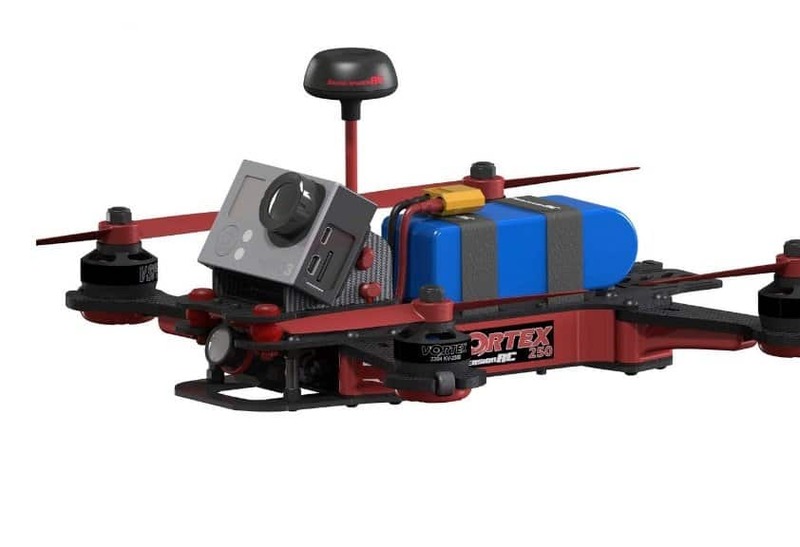 Dynamic Power Control, a new interference-reduction feature, has been added for the Vortex 250. Now, Tx power is reduced whenever the 250 PRO is disarmed or ready to start, which lowers the risk of radio interference with other pilots. 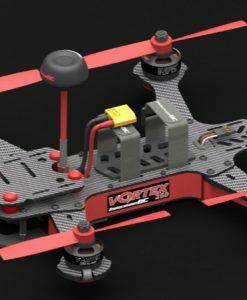 Of course, the Vortex 250 PRO also comes with RaceBand, which lets 8 pilots to fly together AND lets US resellers sell it legally. All RC channels are within legal US Ham radio bandwidth. 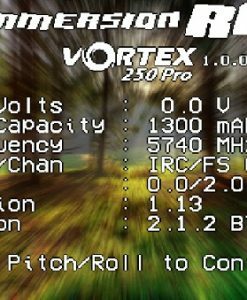 The Vortex 250 PRO comes with an on-board on-screen display that lets you choose Video channels directly on the RC transmitter. Now you can dump your dip-switches and frequency lists. 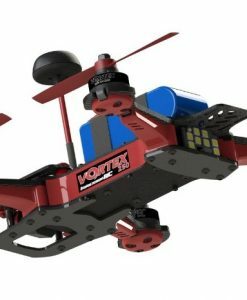 The Vortex 250 PRO Video Tx works with all FatShark, Boscam, Team Black Sheep, DJI, and ImmersionRC RaceBand channels, subject to US regulations. The Vortex 250 has a shock absorbing camera mount to hold the flight cam and a GoPro. 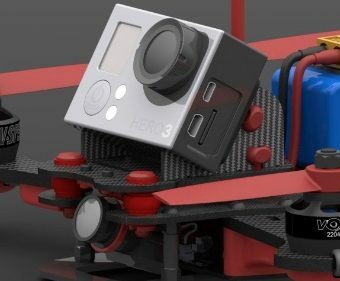 You can also leave the GoPro batteries at home, because a 3A switch regulator is provided that lets you run your GoPro off the flight battery pack. Like the Vortex 285, the Vortex 250 PRO is shipped with a rock-solid professional tune installed. It also comes with a selection of other pro tunes created by experts in Racing Drone world. Eight 24-bit LEDs are now located on the back end. 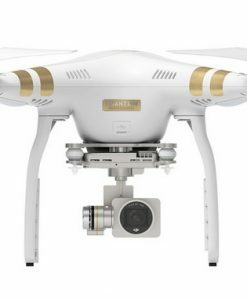 They are controlled by a dedicated 32-bit ARM processor, and you can use them to display whatever you want, using the user-upgradable firmware. 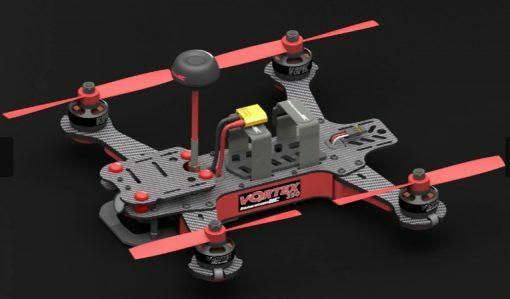 The Vortex 250 PRO comes with 4 custom 20A ESCs (22A Peak) equipped with OneShot125 and regenerative braking. 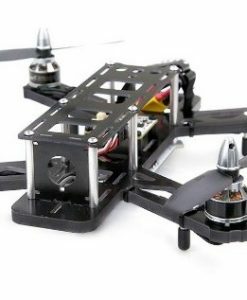 There is a dedicated 32-bit ARM processor for each ESC, so you’ll never be short of processing power to deal with hairy brushless motors. 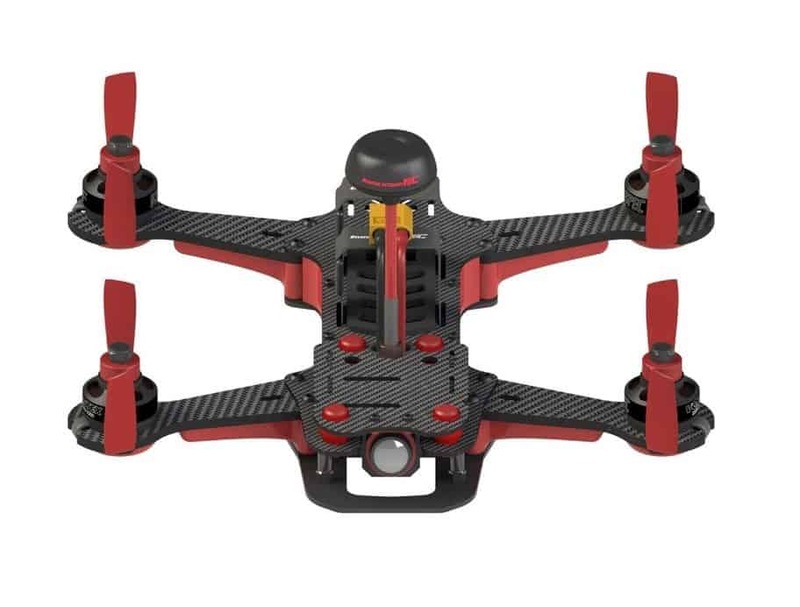 The ESCs come with the second generation of ImmersionRC’s EzESC and support rotorSENSE, which eliminates the need to swap motor wires when adjusting prop direction. There are 7 ARM processors on board the Vortex 250 PRO. Each of the 4 ESCs gets its own 32-bit ARM unit, plus one for the flight controller, one for the on screen display, and one for the LED board. 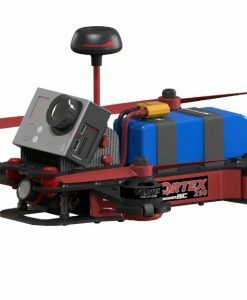 Included with the Vortex 250 PRO is a high speed BB recorder that captures flight controller data, which really helps with pro-tuning. The data is stored in an integrated 2MB flash memory on the Gen2 board. This isn’t a lot of memory, but it’s plenty enough to optimize your PIDs. An on-board full-graphic on-screen display (OSD) provides updates of key flight parameters. 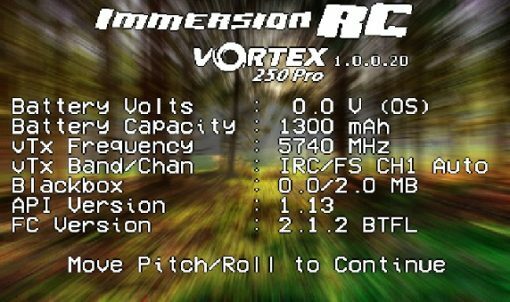 The OSD menu can be programmed in the field on the RC transmitter unit plus a display of some sort (goggles, LCD screen). 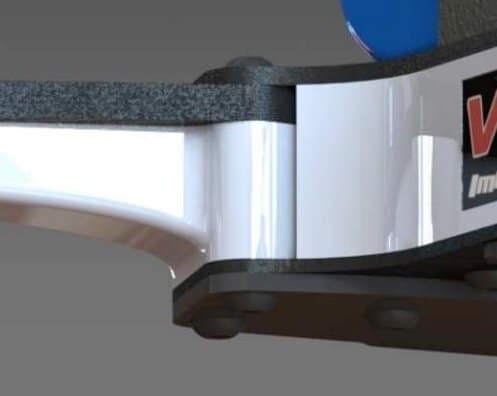 The on screen display features a real-time interface that supports artificial horizons, a fighter jet-style HUD display, and customization of flight parameters. All of the layouts include alerts for critical warnings such as battery voltage, EzUHF link critical, etc. 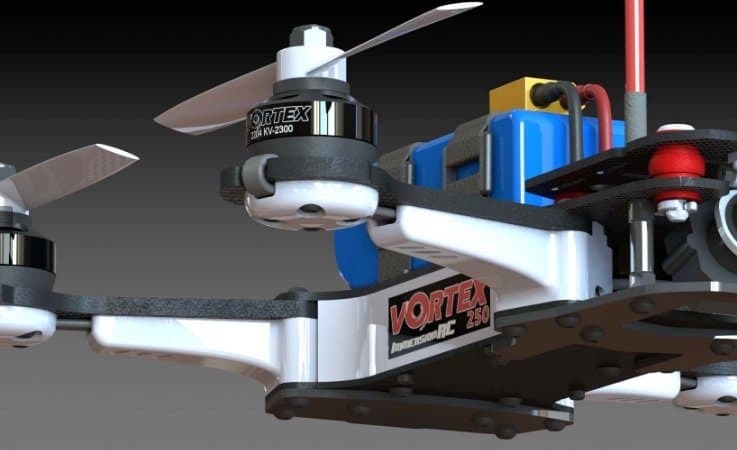 The Vortex PRO is shipped fully tested and tuned, as an Almost Ready to Fly (ARF) unit. All it needs is an R/C Receiver, a display of some kind and a battery. 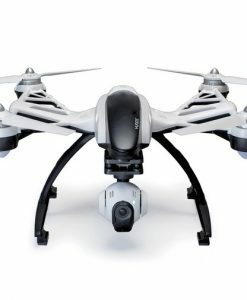 And add a GoPro, if you want to shoot video. 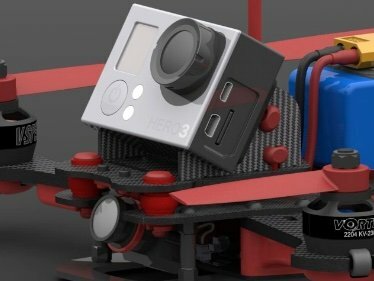 Upgradeability: support for non-stock motors, etc. 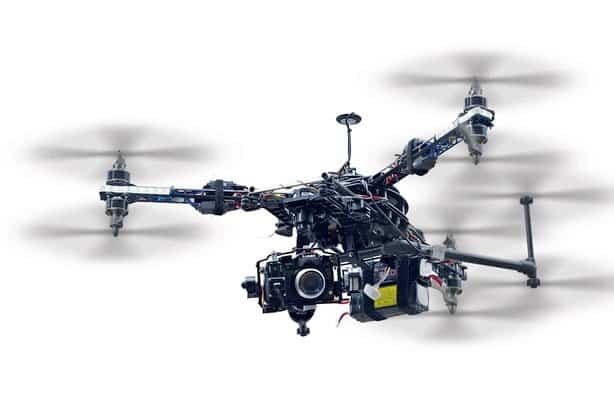 Adjust configuration using transmitter and on-screen display!